We’ve tried out a lot of shoes over the past few months and honestly – we’ve yet to find anything that we didn’t really like. Golf shoes have come a long way from where they were just a few years ago in comfort, style, and performance. The shoe reviews that we’ve primarily focused on for our reviews at Fresh have been the newer street-style category of shoes – so we thought it was about time to change things up a bit and review a traditional-style golf shoe. 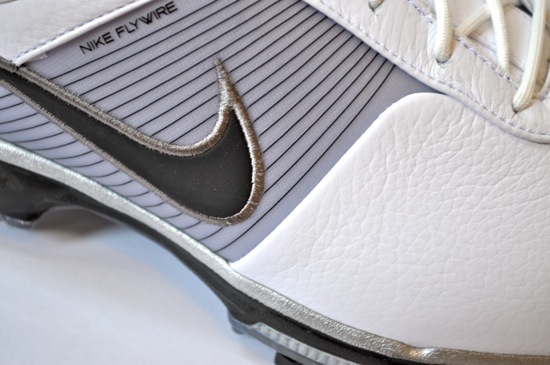 One of the clear standouts this year in traditional golf shoes is the Nike Lunar Control. 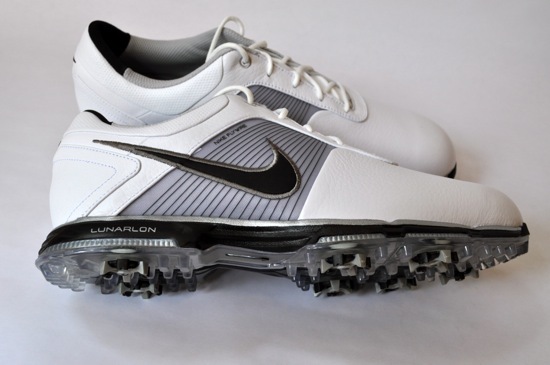 The Lunar Control is new this year from Nike and Nike Golf has done a great job of integrating some existing Nike innovations found in some of their other athletic lines into their lineup of golf shoes. While the integration of the newer technologies make for better performance and comfort – the Lunar Controls have a styling that is classic Nike Golf at it’s finest. 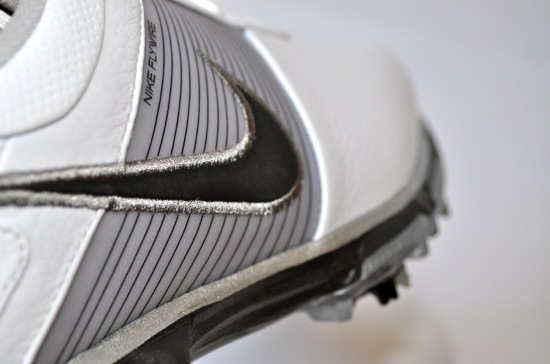 The style of the Lunar Controls is about as universal as a golf shoe can get. The shoes aren’t overly formal or overly progressive. The styling sits somewhere in the middle as a solid, neutral, and great-looking golf shoe. The Lunar Control shoes come in a safe and modern selection of colors that combine basic white and black styling with modern accents to go with just about any golf gear that you have hanging in your locker or in your closet. Over the past few months I’ve seen the Lunar Controls out at the practice facilities and courses in all of the different color ways that Nike is offering. All of these color combinations look nice and clean and judging from the pairs I’ve seen in use – they all appear to wear really well and look great. All of the Lunar Controls have a Flywire mid-foot saddle that provides for a snug and comfortable fit and gives the shoe a really good feel due to the distribution of the pressure from the lacing throughout the saddle. 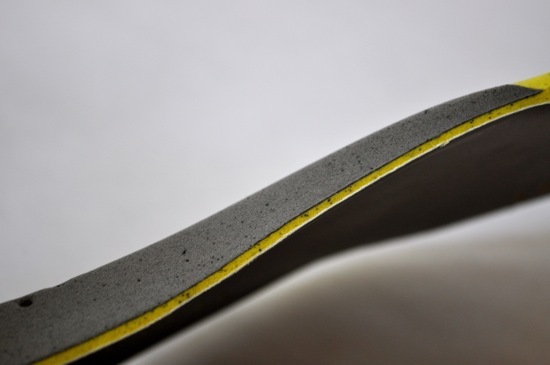 The materials used for the flywire is very light and keeps the support solid while allowing the shoe to do a great job of wrapping your foot in the right places. The fibers used in the saddle are the same material that Nike has been using in various sports shoes (including basketball, track & field, trail running, and running shoes) to allow for lighter materials while giving great and customized support where it’s needed. The Lunar Controls use the Lunarlaon foam cushioning allowing for great cushioning and feel in the shoes. 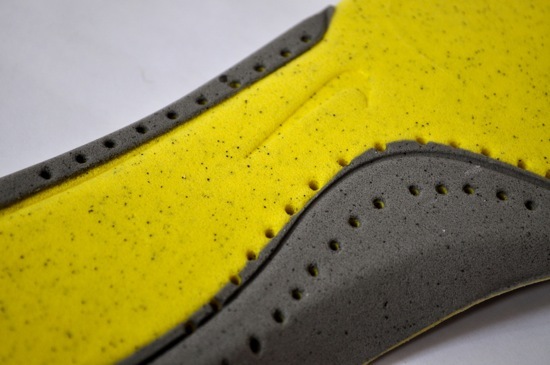 The Lunarlon foam feels plush while also giving a nice “bounce” or “springy” response to the soles. The Lunarlon cushioning is noticeable when you walk the course and you’ll appreciate the cushioning as you make the turn and realize that your feet feel as nice and comfy as when you started. 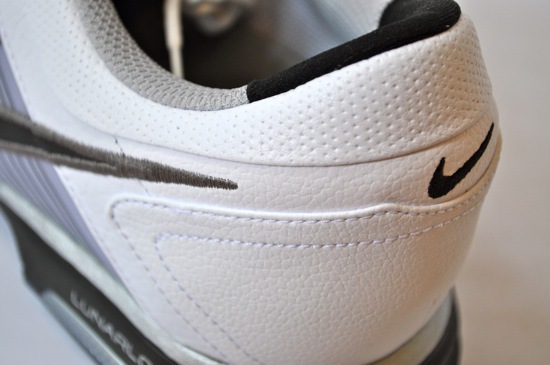 The leather in the Lunar Controls is full-grain leather and waterproof. The details in both the stitching and the texture of the leather gives the shoe a great finish and rounds out the appearance of the shoe. The Nike Golf Lunar Control comes with a 2-year limited waterproof warranty. I have used these shoes in significant rain and haven’t had any problems with the shoes leaking or becoming wet on the inside. The soles and support of the Lunar Control give the shoes really nice grounding. 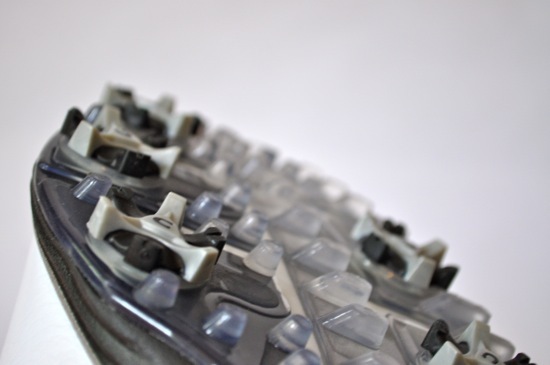 The patterns on the sole that accompany the spikes are comfortable and provide solid grounding while both swinging and walking. I also really like the look of the clear soles – it’s a nice addition to the detail of the shoe that shows the depth of design while showcasing a bit of the technology that goes into the construction of the shoes. The Lunar Controls are the standout traditional golf shoe of the year for me. The Nike shoes tend to fit my foot well and the construction of the Lunar Controls combined with the perfect fit that I get from Nike make this a solid go-to shoe for just about any type of weather or any season on the course. In the few months that I tried out these shoes, I have also had quite a few others take the shoes for a practice round and they all gave the shoes glowing reviews for their fit and styling. If you’re looking for a modern traditional shoe – the Lunar Controls are worth trying on and taking a serious look at. 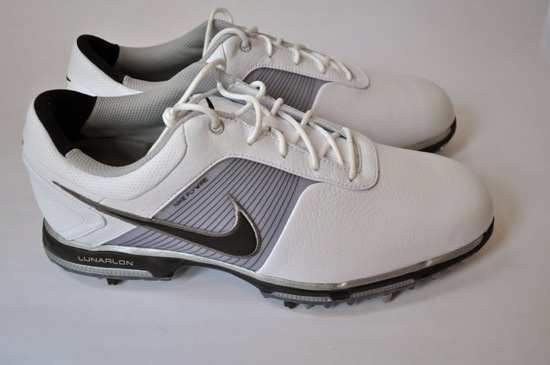 If you’d like to see some more pictures of the Nike Golf Lunar Control Golf shoes, you can check out the Nike Lunar Control Photo Album that we have posted on facebook.